But it is tall and wide and can be seen from the road, so it is quite well-known. 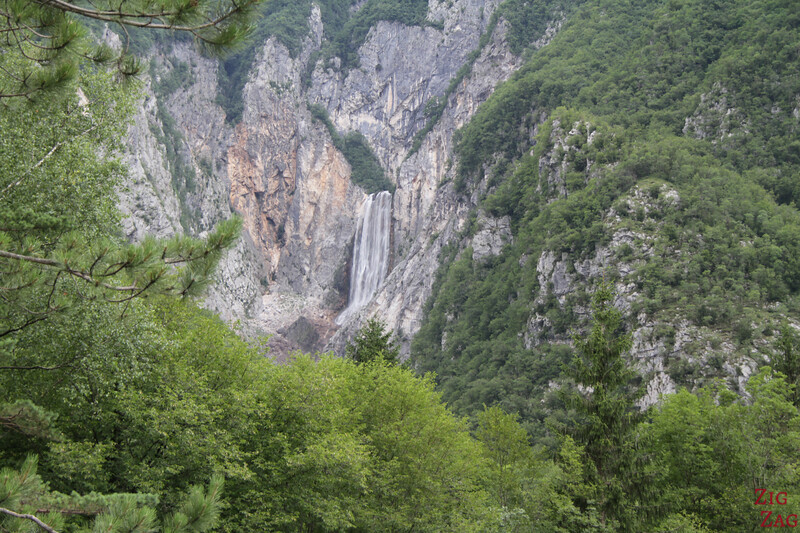 One the image below you can see the waterfall when it is rushing after heavy rain. 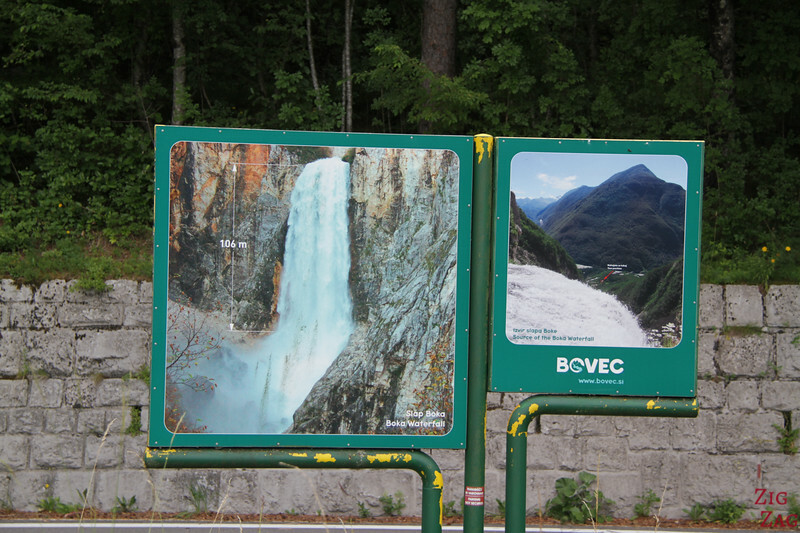 The picture on the right shows you the top section before dropping and its amazing location in the Soca Valley. Flow vary greatly during the year. In Spring and Autumn it can reach 100m3/s while in Summer in can drop to as low as 2m3/s. 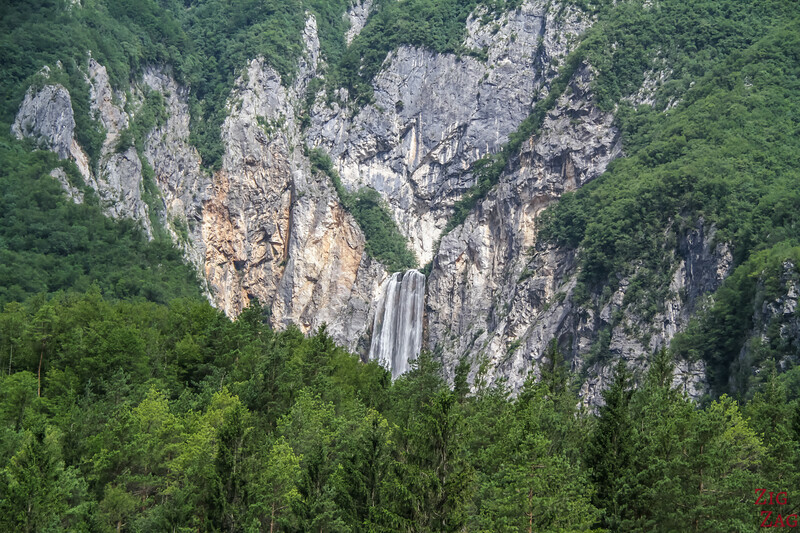 The Boka Waterfall, along with many other beautiful places, is included in my eBook: The Road Trip Guide-Slovenia. Major Hike through the river bed when it is not as full flow or to the right of the bridge up to the spring but both are technical and difficult. 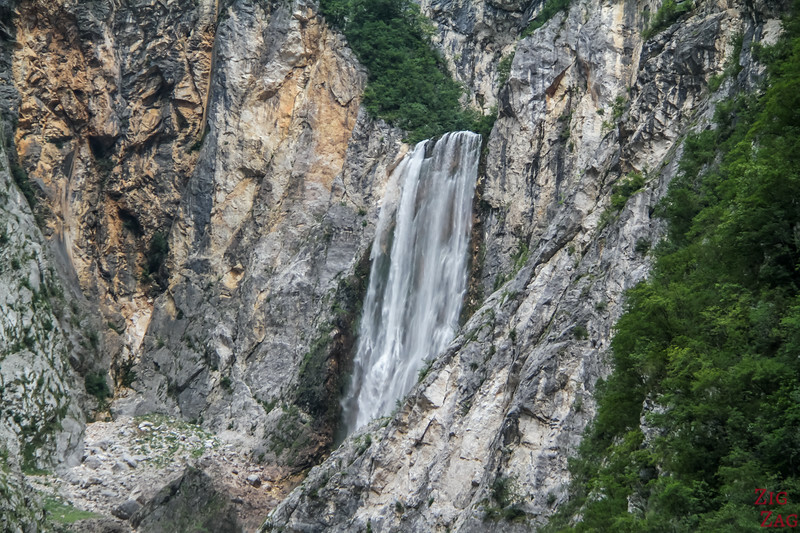 The Boka Waterfall is clearly indicated as you are driving through the main road of the Soca Valley. So you can park near the North of the bridge or near the hotel south of the Bridge. 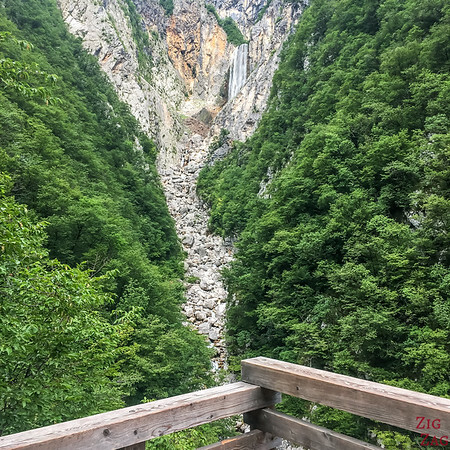 Walk around and you will already see the waterfall quite well, especially if you are there when snow is melting or after heavy rains. From certain angles you can see a portion of the lower part of the waterfall. 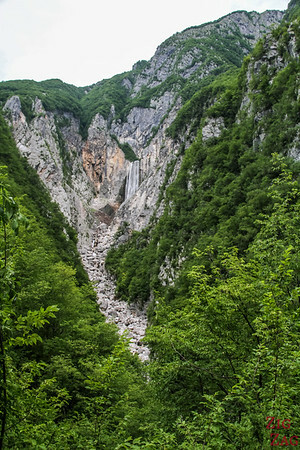 What is impressive is the contrast between the big cut in the karst and the forest all around. 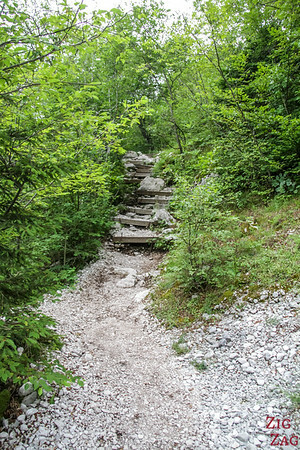 From thee Left of the bridge (facing the falls), you can see the sign indicating the hiking path to the viewpoint. 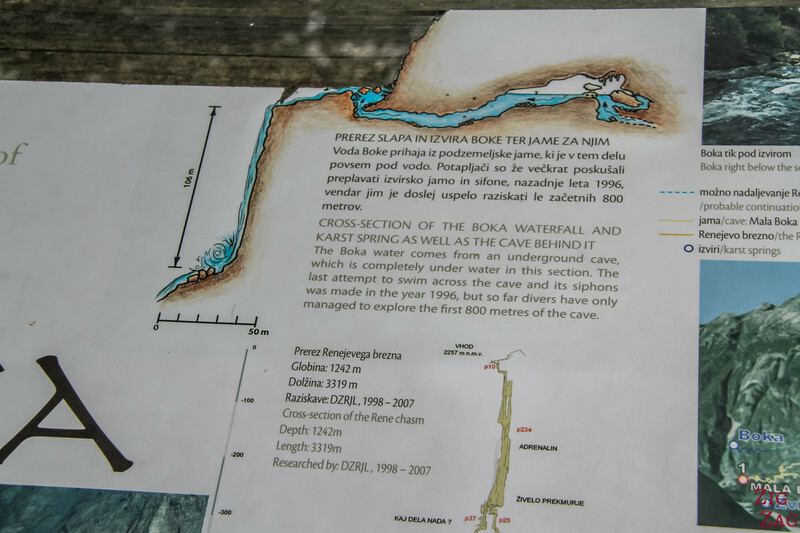 The good news is that the Boka waterfall trail is clearly indicated and you can't get lost. However it is not a relaxing walk. 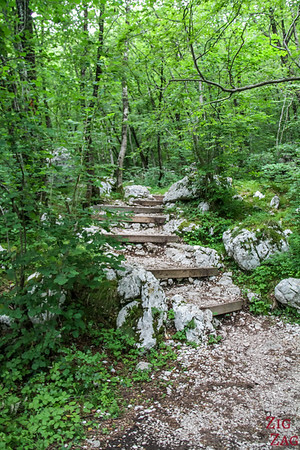 There are a lot of rocks that roll and slip under your feet and many many steps. So if you have knee problems, I really don't recommend it. I met people who had difficulties. It is not ultra-hard, but not as easy as some people say. 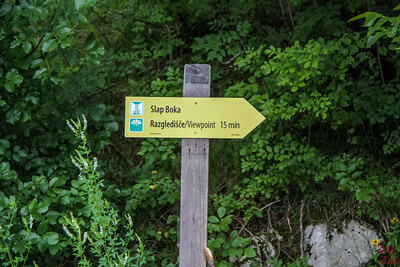 Below are a few photos of the Boka waterfall hike to the viewpoint. And here are a few shots from the viewing platform. There are some nice signs with explanation about the waterfall and the geology of the region. To my opinion the view is not worth the hike. 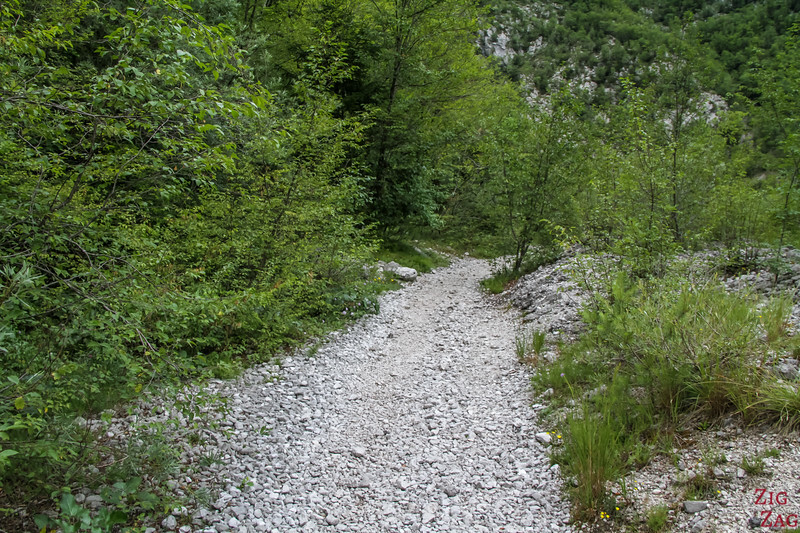 As I said earlier, you can also hike through the river bed (when there is almost no water) and to the right to climb to the top. However it gets technical and small rock avalanche may change the paths overnight. If you take tht time to stop there, I really recommend you take 5 minutes to stop by the hotel. 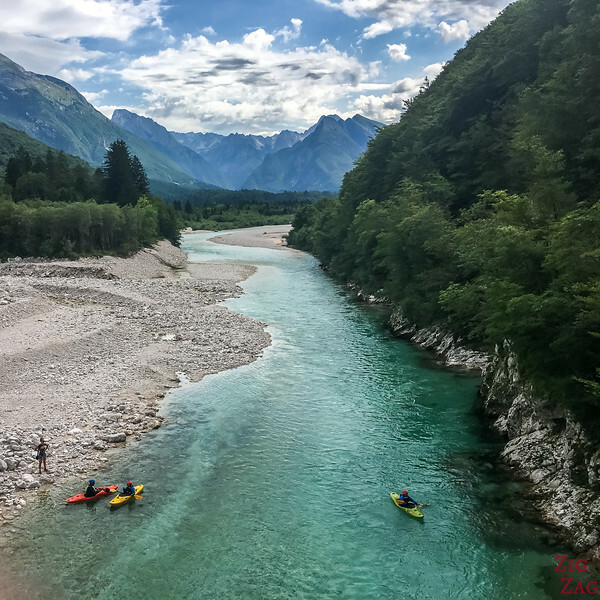 There is a small bridge with a fantastic view of the Soca valley and the emerald river. It was one of my favorite views in the valley. 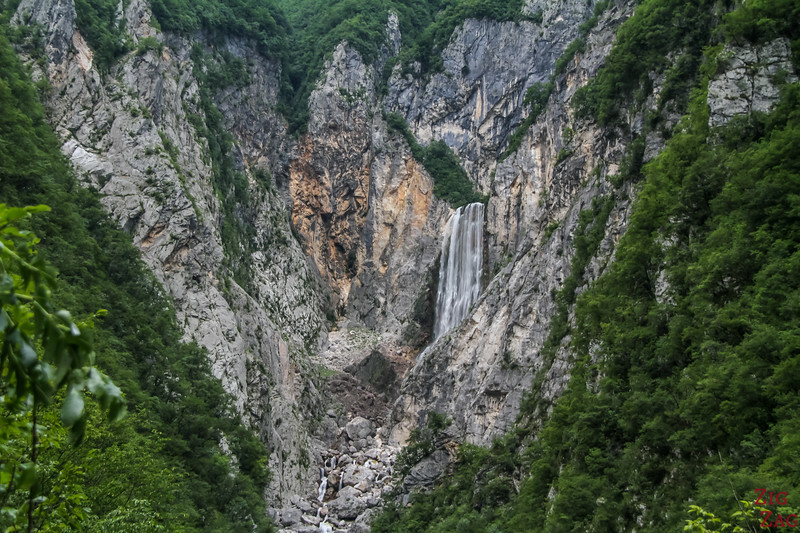 Do you like this kind of waterfalls?